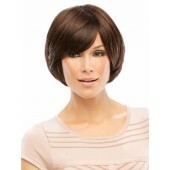 Jon Renau is proud to introduce SmartLace, the most innovative lace front wig collection available. super stylish and unbelievably natural, each SmartLace wig is hand-crafted with the utmost quality and attention to detail. 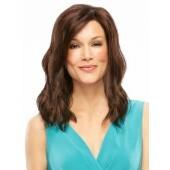 This superior craftsmanship,the key characteristic of the Jon Renau Collection, gives all SmartLace wigs true-to-life shape, long lasting comfort and unlimited stylability. SmartLace will revolutionize the way you feel in a wig. NO TAPE OF ADHESIVE IS NECESSARY! NEVER UNRAVELS OR RUNS!